Birdseye Maple Wood has been in the exotic figured maple wood business for over thirty years. We have provided this instrument grade maple to many well known large guitar companies over the years in the guitar building industry. 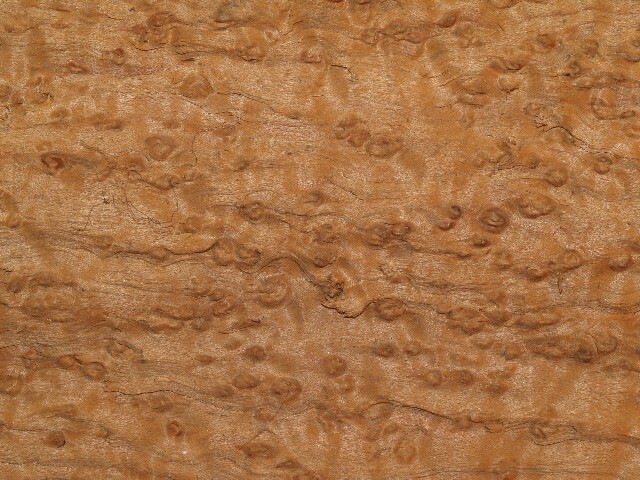 We specialize in Birdseye Maple, Curly Maple, Fiddleback Maple, Spalted Maple, Quilted Maple & Hard Rock Maple for guitar necks, guitar tops, acoustic guitar sets, guitar fingerboards & gun stocks. We also have wood available for mandolins, banjos, basses, bows & pool cues. We prefer working with hard maple and Eastern red maple rather than Western big leaf maple. However we do carry some big leaf maple. We feel these other woods are superior in sound and stability to it's Western cousin. These woods are also more rare in the high figured grades. Our woods would be typical of woods that were put on the early Gibson guitars when their factory was in Kalamazoo Michigan. In addition we carry body woods especially for the instrument building industry such as Swamp Ash, Black Ash, Black Cherry, Cypress, Poplar, Basswood, Sycamore, Walnut, White Pine and Butternut. We also have turned veneer for many years and carry some instrument grade Curly Hard & Eastern Red Maple in 1/15th inch and 1/20th inch thickness. We are specialist and can cut to size since for certain individual orders. Birdseyemaplewood can also provide acoustic guitar back and sides sets as well as book matched electric guitar tops. We have some of the most beautiful and rare Birdseye Maple and Curly Hard Maple in the industry. We take great pride in our knowledge in cutting and sourcing these rare woods. We don't cut any tropical hardwoods and as previously stated we deal in North American sustainable hardwoods. You can see some of our beautiful wood on some of our own custom guitars at zuniguitars.com.